The Internet is a dangerous place filled with all kinds of security threats. Therefore the moment your network – be it small or large – connects to the internet, it gets exposed to all kinds of security issues, unless it is protected by what is known as a firewall, which is responsible for filtering traffic which flows into (and goes out of) your network, thereby greatly reducing the impact of malicious traffic traveling over public internet can have on your network. What Exactly Is A Firewall, In Simple Terms? Firewall, a term which is supposedly coined by AT&T’s Steven M.Bellovin, is a metaphor (wall on fire) indicating that it prevents intruders (like virus, trojans, ransomware, other types of malware and other such security threats) from breaking into networks and infecting them. Simply put, network firewall(s) protect your networks against security threats. The concept ‘network firewall’ has evolved over the years, and roughly speaking, you now have about 5 different types of them. Let’s take a look at them briefly. Packet Filtering Firewall: this is the first firewall created for network security which was basically responsible for filtering (inspecting) data packets coming into the network based on an established rule-set (or criteria) – like allowing data from only certain IP addresses, packet types, port numbers etc., – and ignoring those which don’t match them. Circuit Level Firewall Or Gateway: these firewalls operate at the session level – monitoring TCP handshakes – instead of at the data packets level. Simply put, they ensure the external sessions your network encounters (or engages with) are legitimate or not. Stateful Inspection Firewall: these network firewalls accomplish both data packet filtering and session (TCP handshake) filtering. In other words, they do the job of both packet filtering and circuit level filtering firewalls. This means they monitor all active sessions or connections and thus determine which network packets should be allowed or disallowed. Application Level Firewall: these firewalls operate at the application level. In other words, they filter the traffic only with regards to the application (or service) for which they are intended. For example, a firewall for monitoring traffic to all the web applications your network uses. The firewalls which are most popular at the moment are next-gen firewalls. The obvious reason being the modern-day malware which is quite complex in nature gives rise to the need for a more sophisticated firewall for monitoring (and safeguarding) the network efficiently. This firewall is the least-well delineated firewall of all and is usually a combination of stateful inspection and deep packet inspection firewalls. 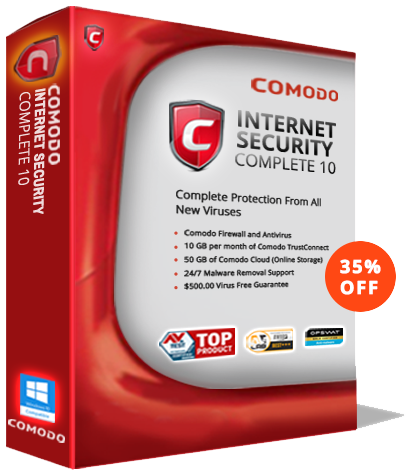 Comodo Internet Security, which comes equipped with impressive security features, contains the best firewall the IT security industry has to offer. Operating using the Comodo’s patented Default Deny Approach (which is implemented via Containment technology), it offers effective resistance not just against malware threats but against zero-day attacks too. Please note: CIS’s award-winning firewall is available only with the priced editions (Antivirus Advanced, Internet Security Pro, and Internet Security Complete). CIS also offers a totally free edition – no strings attached – by name CIS premium.